The LRSM facilities play a vital role in the MRSEC research and in promoting collaboration and outreach. SEFs are a focal point for knowledge transfer to industry and graduate education. They are utilized by external organizations as well as MRSEC students and postdoctorals. 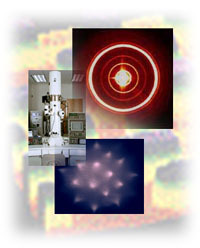 PENN research centers that benefit from the SEFs include, The Johnson Foundation for Molecular Biophysics, The Institute for Medicine & Engineering, The Center for Dental Bioengineering, The Center for Molecular Modeling, The Center for Advanced Imaging & Micromanipulation, and The Museum Applied Science Center for Archeology.